The birthplace of the Fetzer family’s wine dynasty is poised for a new life as a commercial cannabis operation, a deal that shows just how far California’s new marijuana businesses have emerged as a rival to the North Coast’s famed wine industry. The main ranch house and 80 acres of the Redwood Valley property where Bernard and Kathleen Fetzer began growing wine grapes and raised children who made their brand famous is in escrow, slated to be sold to Bay Area-based Flow Kana. 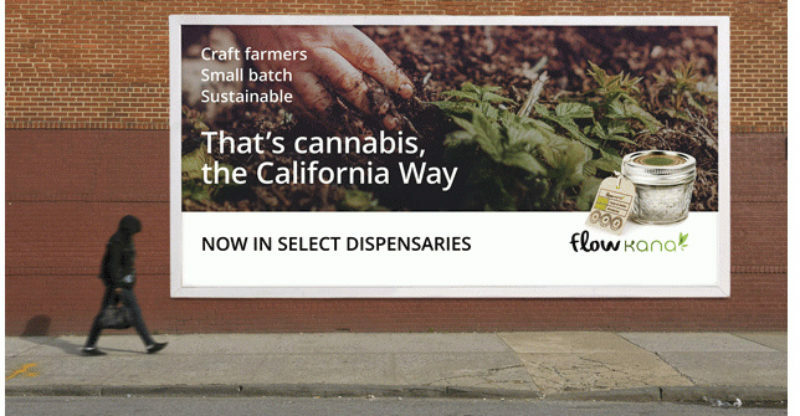 Flow Kana markets its marijuana products as sun-grown, sustainable and primarily produced in the world-renowned Emerald Triangle, with a focus on Mendocino County. The organization is in the pre-application stage with the county’s planning department and has begun reaching out to Redwood Valley residents, seeking to assuage concerns they might have. It would transform the former winery into a marijuana business with cultivation, processing, manufacturing, distribution and retail sales. Fetzer produced its first commercial vintage at the Redwood Valley site in 1968 and continued until transferring operations in 1999 to the North Coast Winery in Hopland. “They’re coming from everywhere” in the world, said Blake, who himself is investigating new opportunities, including in the city of Ukiah, which recently voted to allow dispensaries. 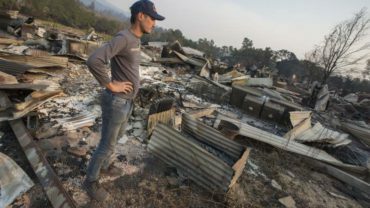 People have purchased property in Mendocino County without even knowing whether they’ll be granted a permit to operate, he said. Blake and others say the commercial marijuana boom is inevitable and will be good for the county’s economy, bringing jobs and boosting sales tax revenues. But others, including neighbors of the Fetzer property on Bel Arbres Drive, are worried. “I’d say everybody on the street is not very happy with it,” said Kenneth Olsen, who bought his rural property on that road in 1973. His primary concern is with the road, which is narrow, in poor condition and already carries more traffic than is suitable, according to Olsen. He’s also concerned that unsavory people might be drawn to the area by the marijuana operation. Martha Barra, owner of Barra of Mendocino vineyards and winery, is concerned about the odor problems associated with cannabis cultivation and the potential for crime. Because federal banking laws don’t allow pot businesses to have bank accounts, they often have large amounts of cash on hand, she said. “To me, it’s attracting criminal activity on a grand scale,” Barra said. Flow Kana representatives could not be reached for comment last week. But they have released an information sheet that seeks to calm some of neighbors’ concerns. It states that security measures on the premises will include cameras, patrols by a security firm and owners that live on-site. Smell is not expected to be a problem and the roads will be restored, it states. The group also has made itself available at community meetings. The Fetzer property was listed for $3.5 million when Flow Kana made an offer, said Clint Wilson, the real estate broker representing the owners, and the offer was “more than close” to the asking price. Other offers also were made on the property, which includes warehouses, an office building, several wineries and four homes, he said. The Graziano Family Winery currently leases one of the wineries on the property and is expected to continue to do so, Wilson said. Wilson said the Fetzer family members who own the property are selling in part because the parcel cannot be split. They have not participated in the community discussions about the proposed marijuana endeavor, Wilson said. He said he believes the cannabis operation is a good fit for the property. “I think it’s inevitable the property could end up with someone in that industry,” Wilson said.